In today’s hectic lifestyle, we are rushing our meal times, failing to prepare healthy, wholesome and nutritious breakfasts, lunches and dinners. The overreliance on pre-packaged and processed foods in today’s diet results in a huge deficiency in essential nutrients, which leads to serious health conditions, such as heart disease, stroke and cancers. The Center For Disease Control (CDC) states that adults should eat approximately 2 cups of fruit and 3 cups of vegetables per day. However, a further CDC report stated that over 3/4 of US adults do not eat enough fruit and nearly 90% of US adults do not consume enough vegetables. So what is the best way to get the right amount of nutrients? The answer is a daily multivitamin! Now, because people with psoriasis have an immune system that is out of control, we need to ensure we are using the best multivitamin for psoriasis, and not a cheap knock-off version. Not only will a good multivitamin help you stock up on all the essential nutrients and minerals that you are missing from your diet, but it will ensure your auto-immune system is at least in a healthy shape so it can fight off all the common ails and stresses that could trigger a bad flare up. Psoriasis is a chronic condition of the skin that occurs in about 1 in every 50 people. This disease is characterized by red, scaly and itchy skin that often occurs in the groin, elbow, knee, lower back, and scalp. Treatment for psoriasis involves the use of topical creams for your skin, oral medication, and sometimes light therapy to help relieve itching, inflammation and the rapid growth of skin cells. One of the most common and efficient treatment includes the best multivitamins for psoriasis. What vitamins are best for psoriasis? 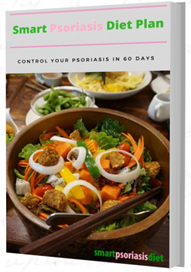 Some of the major and essential vitamins for treating psoriasis include Vitamins A, E, D, and K. You can get all these from your diets except Vitamin D which is also created by your body when it is exposed to the ultraviolet rays of the sun. Historically, Psoriasis have been treated with light therapy through the sun. Researchers believe that the healing effect lies in the sun’s ability to aid the body produce Vitamin D, a potent hormone that has a significant role in various metabolic reactions in the body. This vitamin helps to build a strong immunity against certain diseases and aids in heart, lung and brain function. Vitamin D can also be found in fatty fish (salmon, tuna, mackerel), beef liver, cheese & egg yolks. people with psoriasis. Adding vitamin D to your diet helps to make your skin grow slower resulting in the plaques becoming thinner and less scaly. Recent research has shown a direct advantage of using both topically as well as oral vitamin D preparations for easing the symptoms of psoriasis safely and efficiently. Vitamin C is water-soluble and serves as an antioxidant. Antioxidants can be a potent aid in the treatment of psoriasis by averting damage that is as a result of oxidative stress. colored vegetables and is vital for the healthy production of skin cells. Vitamin A has been used topically for many years to treat photo-damage and psoriasis by decreasing the excessive production of skin cells that occurs with psoriasis. It also helps reduce skin inflammation in plaque psoriasis. your diet. Adding vitamins and supplements into your daily routine can help keep your skin clear and allow it to heal much faster. Although nutritional supplements can help treat your psoriasis, it is not a miracle cure for psoriasis. However, unlike the conventional drugs, you will not have to worry about side effects. It is necessary that you get good advice from a health professional with experience and knowledge working with dietary supplements and psoriasis before you start using them. There is no clinical research or study that shows a direct link between vitamins, dietary supplements, and psoriatic disease. Still, many people with psoriasis find that adding vitamins and supplements in their diet helps their skin clear and ease joint pain. Additionally, the United States’ FAD (Food and Drug Administration) does not regulate the use of dietary supplements. 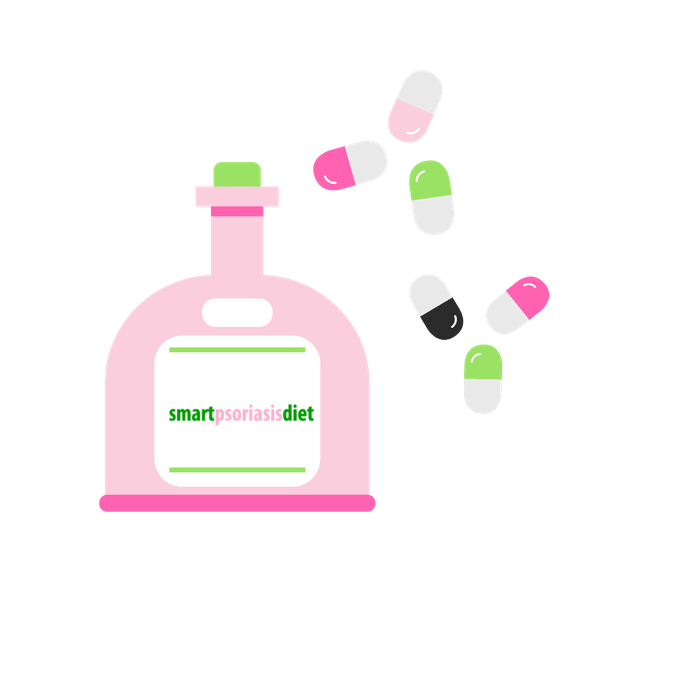 Therefore, it is crucial that you speak with your doctor first before adding any supplement to your treatment plan. There are supplements that may interfere with the medication that you are taking to manage your psoriasis. Garden Of Life Multivitamin for men is made from 23 fruits and veggies and it is formulated specifically for men. It included live probiotics and enzymes together with antioxidants. Being formulated for men, it contains vitamin E, selenium and zinc for prostate support. The standard box contains 120 raw food vegetarian capsules, but it is also possible to find a 240 capsule package (depending on the country). Nature's Way Alive! Premium Formula Max contains greens, phytonutrients, antioxidants vitamins A,C, E, beta carotene and selenium. The packages available contain 60/90 or 180 tablets and the recommended dose is 3 tablets per day with food. This formula is specifically for adults and it combines food-based blends with B-vitamins, to support daily energy and immune system. Women's Vitamin Code from Garden of Life is once again in our Top 5, due to the fact this brand include a lot of nutrients in their formulas. It contains live probiotics, enzymes and 22 raw organic fruits and veggies. Packages size may vary from country to country. They usually contain 75 or 120 capsules. Adam Men's Multivitamin by Now is made for providing the body with a vast range of nutrients that are important for optimal health (together with a balance diet, of course). Eve Women's Multivitamin by Now is formulated to meet women's needs. They product is available in both tablets and vegetarian capsules. This supplement contain folic acid, which is essential for women of childbearing, vitamin C and it contains evening primrose, cranberry, green tea and CoQ10. Standard package contain 60/90/120 and 180 capsules softgel.